H&M is planning to run an ad starring David Beckham during the Super Bowl broadcast that will allow viewers to purchase products directly from their televisions, according to a press release from the Swedish retailer. The 30-second spot will integrate technology provided by Delivery Agent to enable consumers with compatible Samsung TVs to see information about the clothes Beckham is wearing and buy them via their televisions. 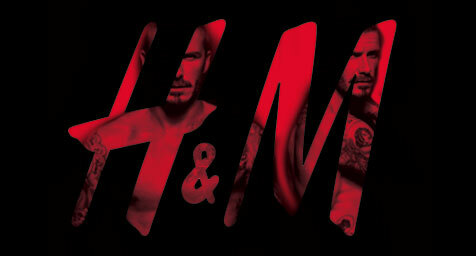 H&M says the “high-octane” spot will highlight the David Beckham Bodywear collection. Last year’s Super Bowl commercial featuring the soccer star in his skivvies created quite a stir, landing on a number of lists for top ads from the broadcast, and the 2013 edition is likely to draw plenty of attention as well. Still, as Variety points out, it’s unclear whether this huge audience will translate directly to a significant number of purchases made from televisions. Only consumers with 2012 and 2013 Samsung Smart TVs connected to the Internet will be able to buy via the ad, so the vast majority of viewers will miss out on the opportunity. Even if it doesn’t deliver many sales, the ad has already succeeded in garnering buzz for H&M and Samsung. Moreover, as Delivery Agent CEO Mike Fitzsimmon’s, puts it, the experiment will make a Super Bowl ad “actionable and directly measurable” for the first time. This additional data could prove valuable, and may alone justify continued experimentation. Consumers and brands should stay tuned to see how “t-commerce” evolves after the spot airs in February.